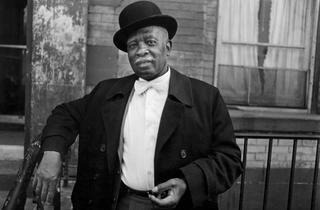 Chicago photographer revisits “Harlem U.S.A.” and later portraits.Chicago photographer revisits “Harlem U.S.A.” and later portraits. 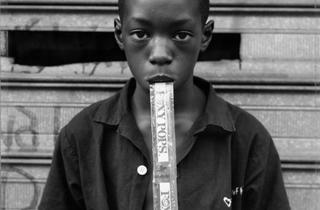 Photograph: Courtesy of the artistDawoud Bey, Randall Burkett and Kevin Hatcher, 2010. 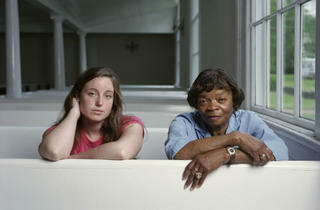 Photograph: Courtesy of the artistDawoud Bey, Paula Beigelsen and Shirley Sims, 2010. 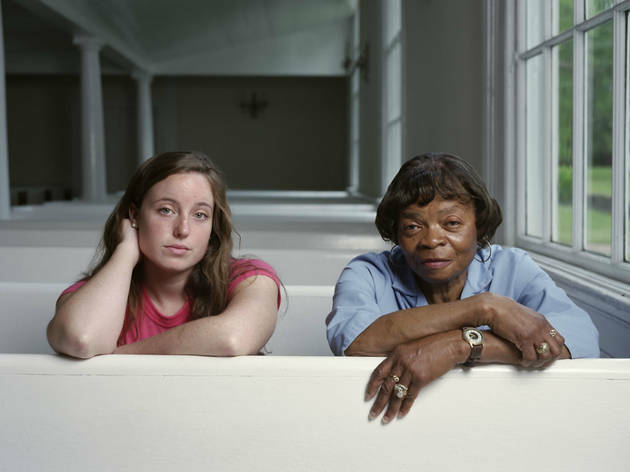 Photograph: Courtesy of the artistDawoud Bey, Lauren, 2009. 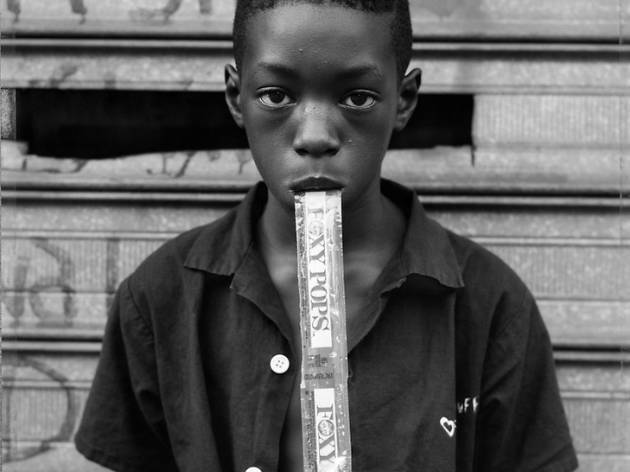 Photograph: Courtesy of the artistDawoud Bey, A Boy Eating a Foxy Pop, 1988. 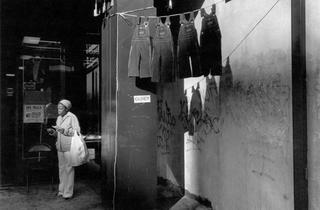 Photograph: � Dawoud BeyDawoud Bey, A Woman with Hanging Overalls, 1978, printed by 1979. 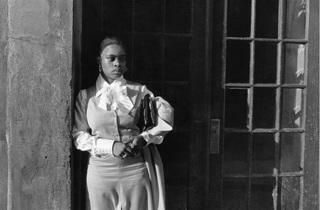 Photograph: � Dawoud BeyDawoud Bey, A Woman Waiting in the Doorway; 1976, printed by 1979. 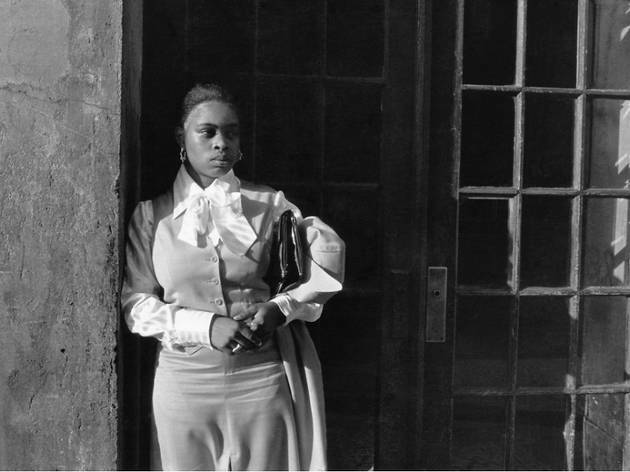 Photograph: � Dawoud BeyDawoud Bey, A Woman at Convent Avenue Baptist Church, 1977, printed 2010. 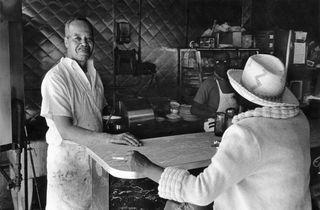 Photograph: � Dawoud BeyDawoud Bey; Mr. Moore's Bar-B-Que, 125th St.;1976, printed by 1979. 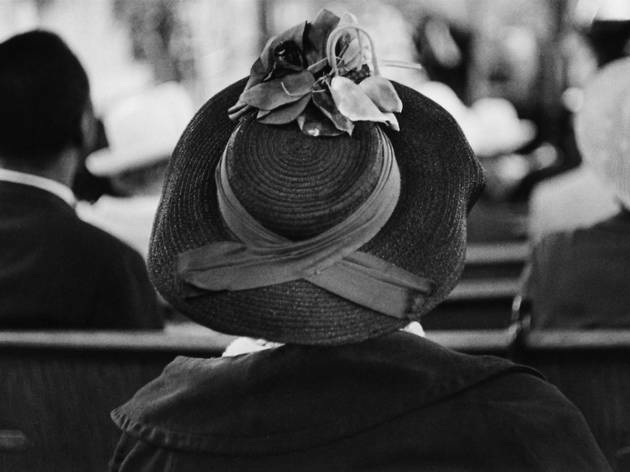 Photograph: � Dawoud BeyDawoud Bey, A Man in a Bowler Hat, 1976; printed by 1979. 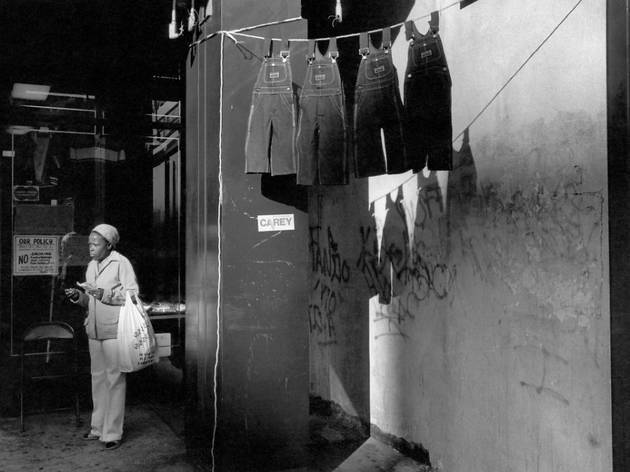 In the late 1980s, Dawoud Bey’s attitude toward street photography shifted. The 58-year-old Chicago artist had used a 35mm camera ever since he received one from his godmother when he was 15 and living in Queens, New York. The small, unobtrusive device enabled him to shoot his first famous series, “Harlem U.S.A.,” which the Studio Museum in Harlem exhibited in 1979. But “I began to feel like I wanted to have more of a relationship with the people that I was photographing,” Bey told me last month as we sat in his office at Columbia College, where he started teaching in 1998. The artist switched to a 4" x 5" Polaroid camera on a tripod. It produced a negative, which he kept, and a print, which he gave to his subject. 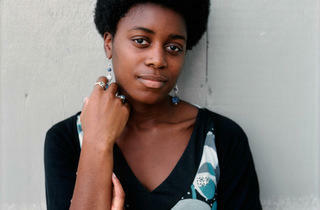 Taking someone’s photograph now required him to get his or her permission and engage in a conversation. The sense of social responsibility that influenced Bey’s decision shapes two new exhibitions that add up to what he considers “a complete, comprehensive statement about my work and career.” On May 2, the Art Institute of Chicago (111 S Michigan Ave) opened “Harlem U.S.A.” All of the series’s black-and-white prints appear together for the first time since Bey’s Studio Museum show, along with five photographs from the same period that he has never exhibited before. 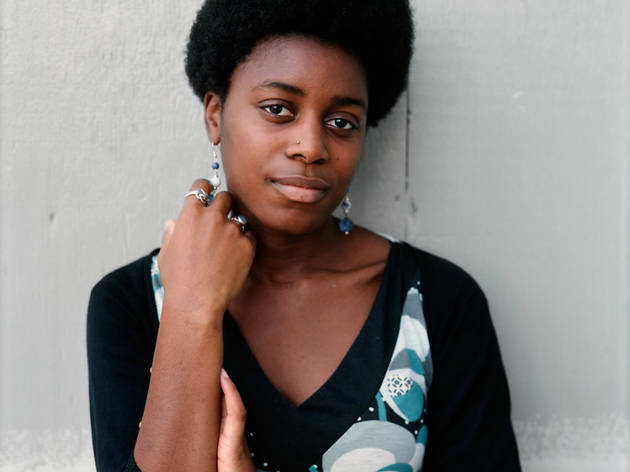 On Sunday 13, the Renaissance Society (5811 S Ellis Ave) in Hyde Park, where Bey lives, kicks off “Picturing People” with a lecture by the artist, whose more recent series “Class Pictures,” “Character Project” and “Strangers / Community” reflect his ongoing interest in color portraiture. When I saw “Class Pictures” at the Milwaukee Art Museum in 2009, I was struck by the dignity that Bey’s teenage subjects (who include several Chicago high-school students) radiate, and the intensity with which they gaze at the viewer. 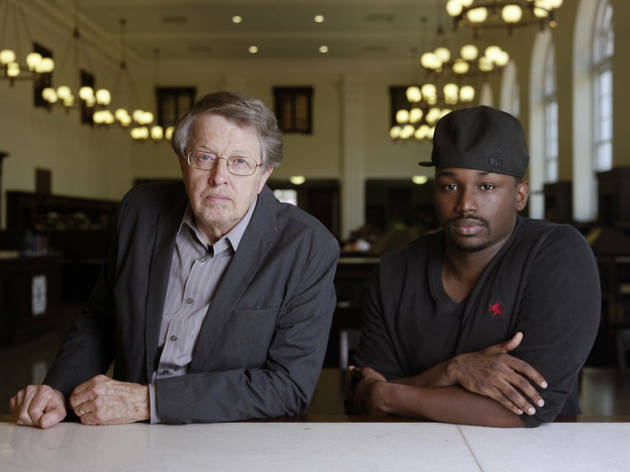 Their poise is particularly remarkable because taking pictures with a 4" x 5" camera, which Bey still uses, is “a highly intrusive process,” he explains. The 235-pound, 20" x 24" Polaroid camera—one of only a few in the world—that he used in the 1990s presumably was even harder to ignore. Bey’s subjects aren’t making eye contact with him; they’re staring into the camera lens. “I try to make all of that intrusiveness disappear long enough for some aspect of the person to momentarily emerge,” he says. 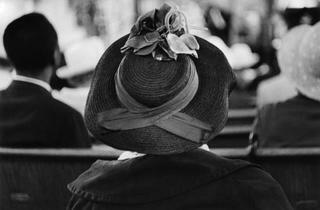 “Having a real belief that there is something about the subject I can describe interestingly in a photograph” helps. 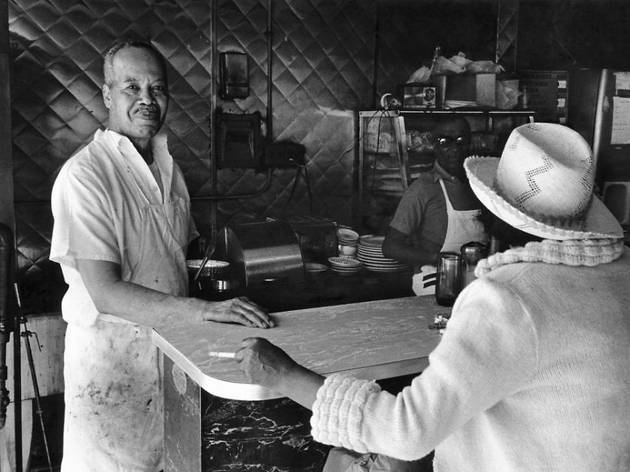 The artist became interested in photographing people when he was a teenager himself, learning about his new camera by visiting photo shows at museums and galleries. 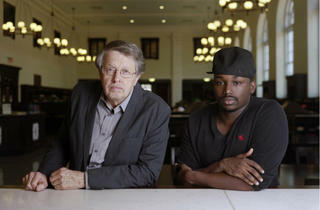 As part of his Art Institute exhibition, Bey curated works by some of his early influences from the museum’s collection. 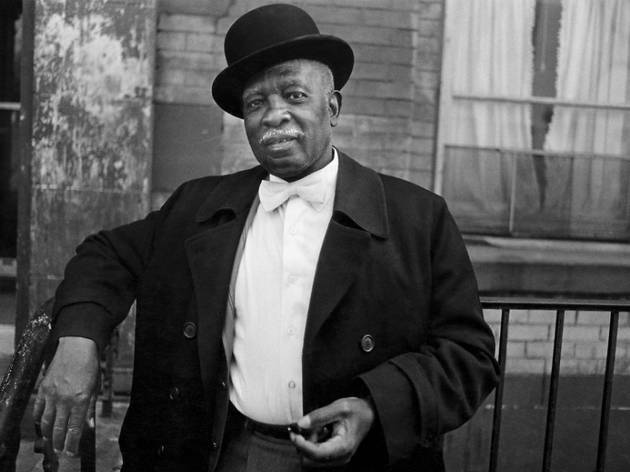 Pictures by August Sander, James Van Der Zee, Aaron Siskind, Roy DeCarava and other photographers appear with Bey’s comments about “how they were useful and instructive to me,” he says.